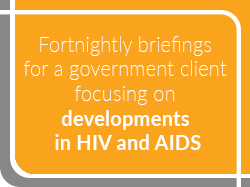 Our current and past clients include major international corporations, institutions and organisations, media houses, various embassies and governments, and also smaller entities, NGOs and individuals. IOA boasts on-the-ground presence in more than 30 African countries and networks that extend across the entire continent. We’ve conducted a broad range of consulting projects that span all key industries and sectors, and have developed independent and commissioned intelligence reports on an array of Africa-related topics. The project covered 47 African countries and involved both primary and secondary research. 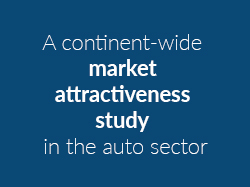 The focus countries were assessed across 12 relevant criteria and ranked according to market attractiveness. 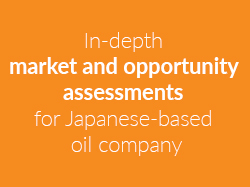 This research included an in-depth focus on our client’s competitors, and was followed by further project phases whereby IOA assisted the client in determining which African markets to enter and how to do so. 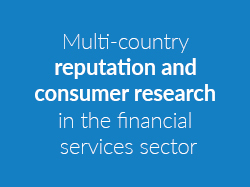 The research was conducted for a major financial services company in four sub-Saharan countries, namely Botswana, Namibia, South Africa and Zambia. IOA used an assortment of research methodologies, including 450 face-to-face interviews, a web survey of 600 clients, panel research with 150 respondents and 22 in-depth telephonic interviews with key informants. This culminated in the production of nine +-80-page reports. This competitive intelligence work was commissioned by a large multinational, focusing on Nigeria and Ethiopia to inform their Africa strategy. The project included 60 in-depth interviews conducted with a range of key informants, such as our client’s competitors and high-level government influencers. The research aimed to inform our client on areas such as their competitors’ business models, partnership models, pricing models and project bidding. 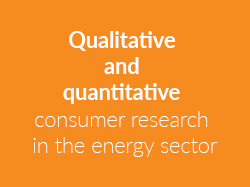 The research was conducted for one of the leading multinational corporations in Africa’s energy sector, focusing on their current and potential operations in Nigeria and South Africa. 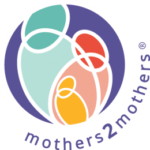 The project involved desktop research and an opportunity analysis, together with reputational research on clients and employees, conducted through face-to-face and telephonic interviews, as well as web surveys. 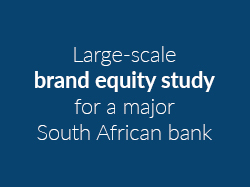 The study was conducted in Lesotho, Malawi, Namibia and Swaziland, involving web surveys with more than 650 employees of the client in the four countries, face-to-face interviews with more than 1,700 customers, an exhaustive desktop research study and in-depth qualitative and quantitative data analysis and reporting. Deliverables included detailed research reports for each country, a comparative analysis across countries and an infographic summarising key findings. 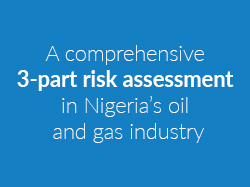 The project involved an in-depth risk assessment for an international engineering firm focusing on the Trans Nigeria Gas Pipeline that runs through several Nigerian provinces. Each of the three assessments focused on a different portion of the pipeline, providing the client with comprehensive security assessments regarding crime, kidnappings, civil unrest, terrorism, health risks, corruption, political sentiment and extortion. 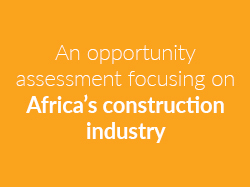 This research was commissioned by a major international construction company and focused on key opportunities in Africa for foreign construction firms. The research also provided an overview of the risks and challenges that should be considered for current and new players. 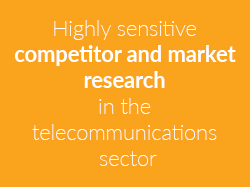 This included an extensive competitor analysis, which drew upon IOA’s expertise in desktop research, media analysis and due diligence undertakings. The project aimed to identify consumer demand trends, key players, risks, and financial incentives within the industry. 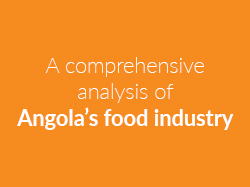 The study also assessed Angola’s legal and import-export policies and frameworks, value and supply chains, distribution channels and current and prospective competition. The report that was submitted to the client concluded with an opportunity analysis that provided detailed strategic recommendations. This project was conducted for a major international player in the trade show and exhibition industry. 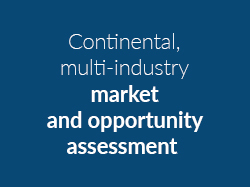 The client is currently active in the South African market, but interested in expanding across Africa and into new focus industries. The research focused on opportunities and trends within agriculture, bridal, education and training. The project, which included primary and secondary research, served to inform our European client on growth potential and related opportunities for them to expand throughout the continent. The project was conducted for a major international school in Kenya and Tanzania that is looking to expand throughout the region. The research focused on the perceptions and views of teachers, students and parents (customer and non-customer), competitor schools, government and other key informants. 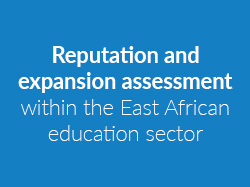 Well over 2,000 respondents were surveyed in total and the analysis informed the school’s strategic and expansion plans for the next 5-10 years. 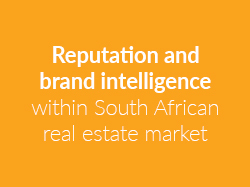 This study was implemented for a South African real estate and property development firm to guide them in their current and planned operations in the country. IOA conducted four web surveys and over 100 telephonic interviews with representative samples of the client’s brokers, investors, tenants and employees. 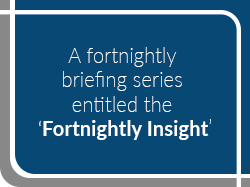 This resulted in a detailed, insight-driven report with key findings and strategic recommendations. 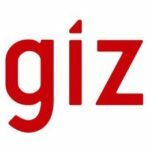 This research has spanned numerous projects over the past two years, covering more than a dozen Sub-Saharan African countries, assessing market potential, competitor presence and reputation, distribution channels, partnership opportunities, as well as consumer knowledge and trends. The most recent of these projects was conducted in Cote d’Ivoire, assessing competitor presence and related opportunities for the client. The series interrogated nuclear energy and counter proliferation in Africa. 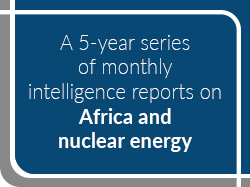 Reports in the series, which totaled more than 50, covered topics ranging from analyses of African countries’ nuclear plans, movements and objectives, to assessments of new policies, foreign relations and investment, and proliferation risks. 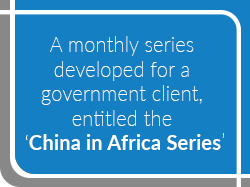 The series provided analytical overviews of and insights into China’s increasing involvement in Africa. This included reports focusing on topics such as China's evolving foreign policy for Africa, an assessment of China's trade with the continent, and commentary regarding trends in China's leadership in relation to cooperation with Africa. 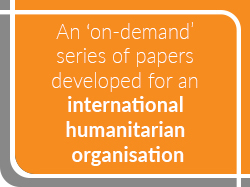 The papers served to inform the organisation of relevant trends, developments and prognoses relating to current and potential humanitarian threats in Africa. Examples of topics covered included an assessment of the state of security along the Tunisia-Libya border, and roadblocks for humanitarian assistance in Niger. The series provided on-going insights into Africa’s evolving business, economic and political landscapes, detailing relevant trends and developments across the continent to guide the government client in its on-going relations, trade and investment in Africa. 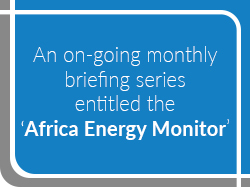 The series was provided to an international government client, inclusive of analytical assessments of and insights into Africa’s energy sector. The report analysed general trends across African energy sectors, as well as more in-depth assessments of developments relating to extractive and renewable energy, regionally and country-specific.